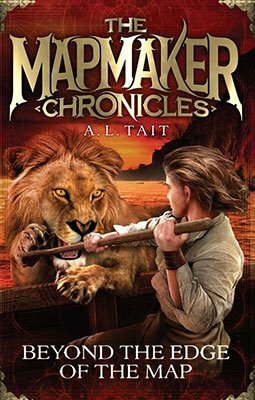 The Mapmaker Chronicles: Beyond The Edge Of The Map is not available through a US publisher at this time. You can order a copy of the Australian edition, signed by A.L. Tait, and shipped from Australia, for USD$25 (including postage and handling). Your signed copy of The Mapmaker Chronicles: Beyond The Edge Of The Map will be posted as soon as possible after ordering, and should arrive within 10-14 business days (allow up to three weeks total).